What do you do when you are angry? Ever slam the door, say really mean things, or just flat handle your anger in the wrong way? Whether you realize it or not, your little ones are watching and storing your not-so-healthy coping skills in their toolbox for later use when they are feeling angry. Do you ever use this phrase with your kids? I may have been guilty of it a time or two. This is a really mixed message that leaves a child feeling confused and possibly angry. Children are like sponges, soaking in the verbal and nonverbal messages of the adults around them. As the role model adult in your child’s life, this is a very important time for you to show them how to handle challenging situations. I remember my mom counting backwards from ten and taking deep breaths when we were challenging her patience, but I also remember her raising her voice a few times when she was at the end of her rope. We are all guilty of losing our patience at times and your children will forgive you, but it helps to talk with them afterwards. I understand this is not always possible. Sometimes, you are the only adult with your children and you cannot leave them to “take a break”. When another adult is able to watch the children, try to take a few minutes away from the situation. Taking slow deep breaths really does help to get that blood and oxygen pumping back up to the brain to get you thinking more clearly. When you think more clearly, you can handle an intense situation in a healthier manner. While doing this, try to focus on the numbers and your breathing. Bring your thoughts back to the present by focusing on something stationary in front of you. This will also help to ease your thoughts and help you think more logically. Sometimes, when you’re feeling overwhelmed with the kids, start acting silly! This really shifts everyone’s mood. Try random jumping jacks, a silly dance move, or pretend to be a rabbit or some other funny animal. What happens if you do lose your cool with your children and raise your voice, slam a door, or say something hurtful? We all make mistakes at times. 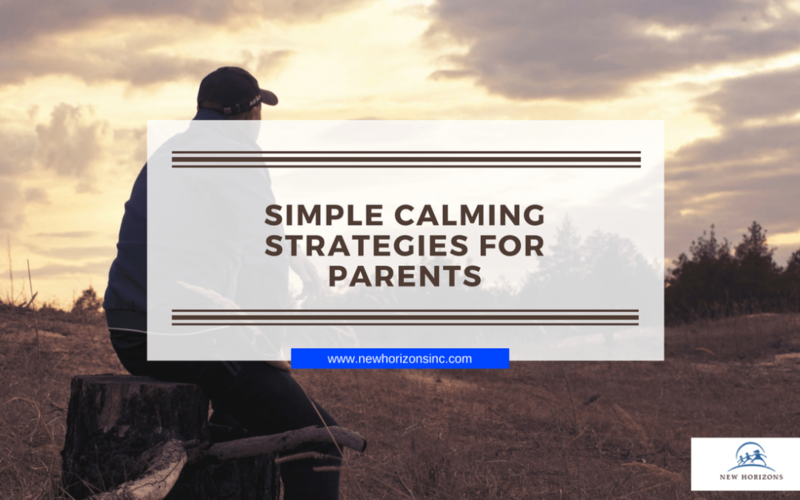 When you realize you have handled your emotions in an unhealthy way in front of your children, take some time to calm down and then apologize. Children can benefit from knowing that adults make mistakes too and they are willing to take responsibility and apologize. Show your children your apology was sincere, it won’t happen again, and that they can trust you as their adult.